For Impact Networking employees, the holidays are always made brighter and more meaningful thanks to Pickard Elementary School. Our longstanding Letters to Santa program has allowed Impact employees to provide the younger students at Pickard with Christmas gifts they would not otherwise receive. This rewarding relationship has left Impact wanting to do more to help the students in a number of ways. Since “adopting” the school in 2009 as a recipient of charitable initiatives, Impact has also looked for ways to enrich the lives of Pickard students of all ages. In the spring of 2015, Impact financed the Pickard eighth graders’ trip to Springfield—giving them the opportunity to learn about the democratic process by seeing it in action. 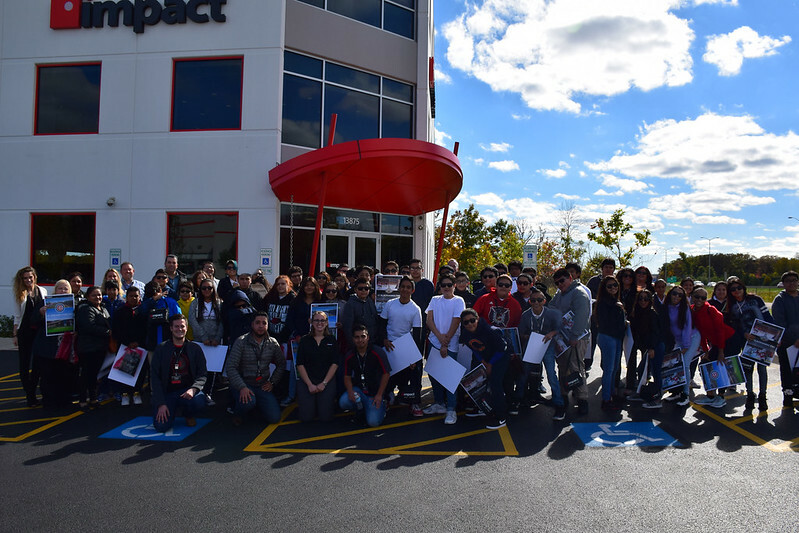 Impact provided bus transportation for the students from Pickard Elementary in Pilsen to Impact headquarters in Lake Forest. Once the students arrived, they were given a tour and shown the cutting-edge technology utilized by Impact clients and employees. After the tour, representatives from different departments gave presentations about their positions in order to provide the students with more information about the vast availability of different kinds of career opportunities, and how departments within a corporation depend upon each other to ensure the success of the company as a whole. When the students were asked at the end of the day how many of them had heard about a job position for the first time, every hand in the room shot up.